Info: When the price is hidden, the purchase is disallowed automatically, a customer can’t purchase a product with the price hidden. You can hide the add to cart product disallowing the purchase of products, the price can be displayed or not, but the customers can’t purchase purchase the product. 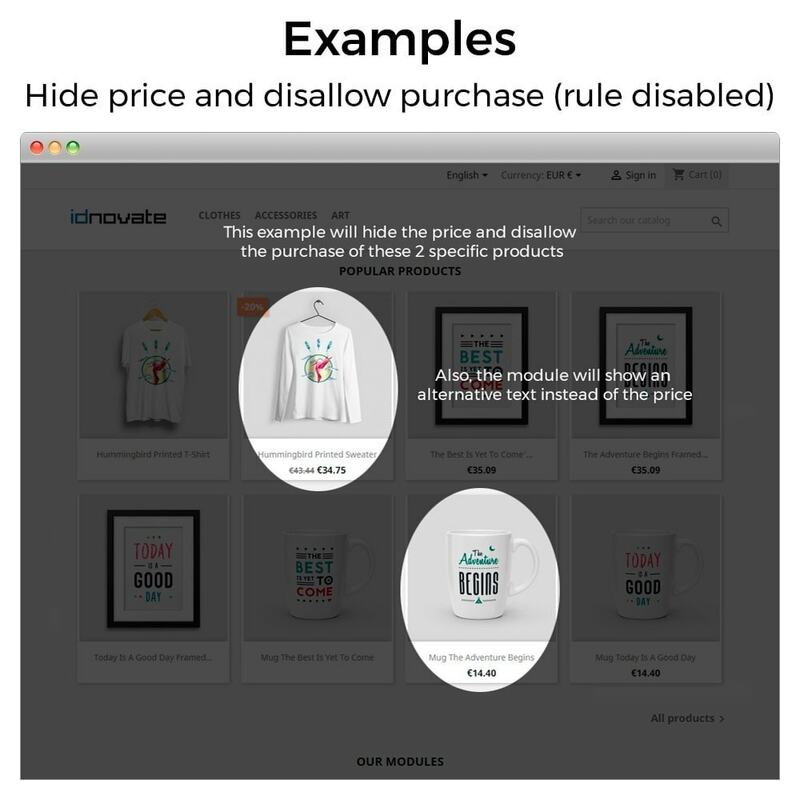 Info: if a customer who can’t purchase a product has it in the cart, the module will display a message in the checkout to avoid the purchase of this product and blocking the checkout process until the product is removed. 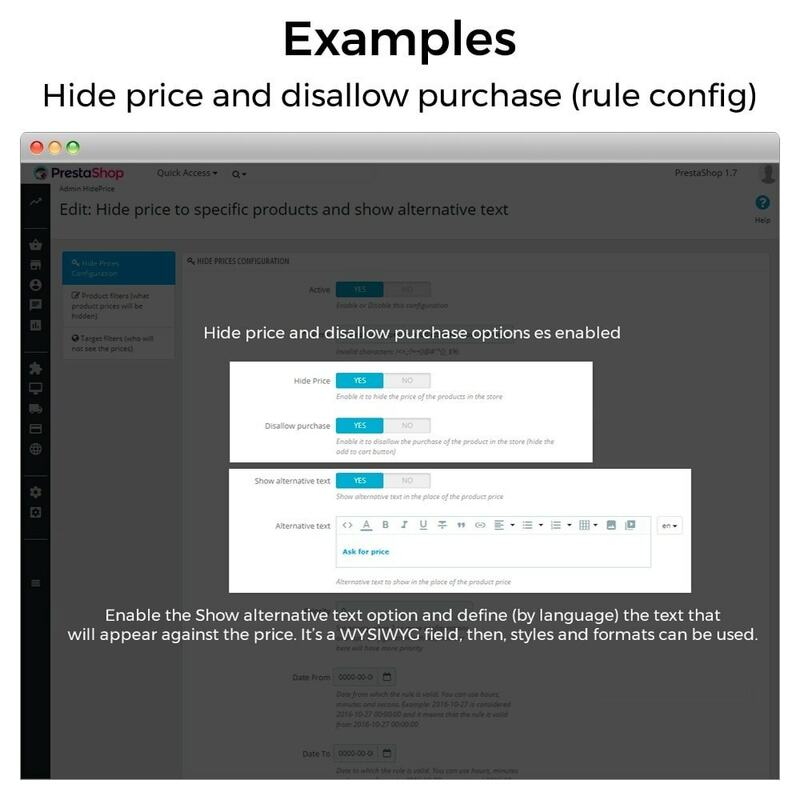 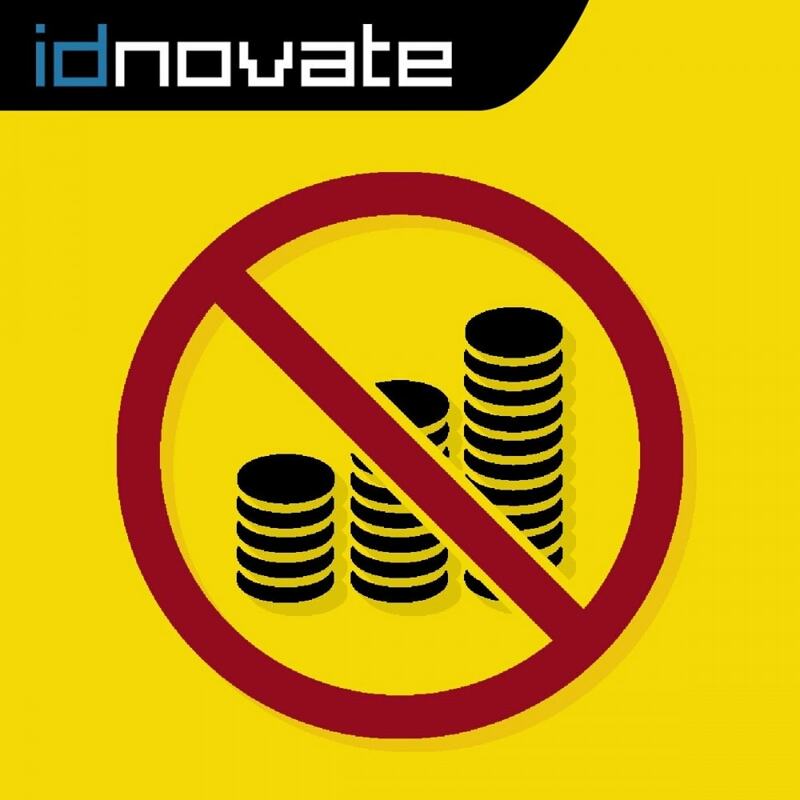 Disallow the purchase of an specific manufacturer products to a customer group. 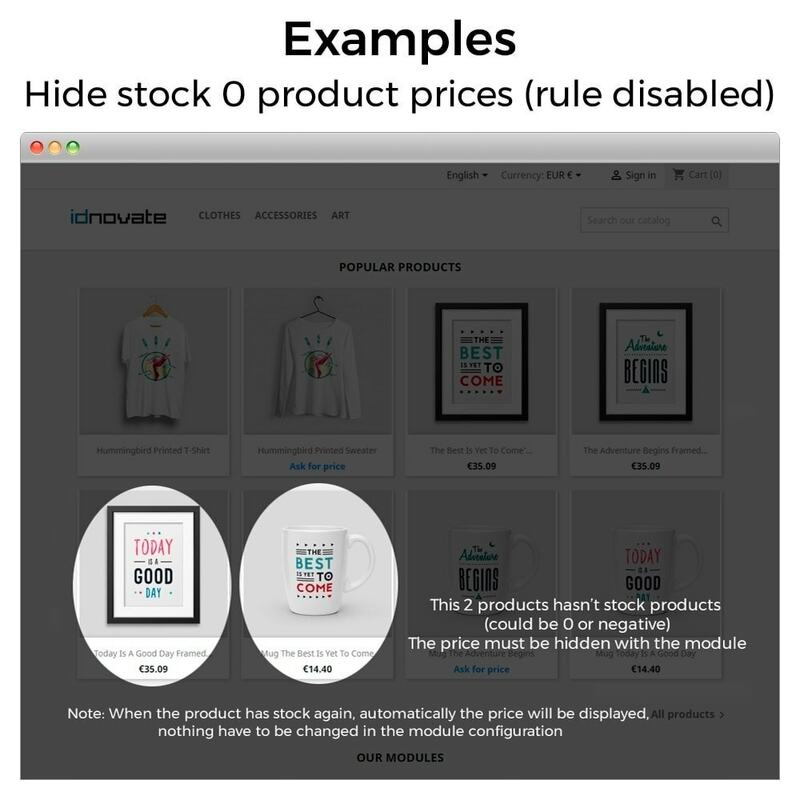 The price of the product is not displayed and this product automatically is not available for order. The "Add to cart" button is hidden and the product is not available for order, then, the product will not be added to cart. 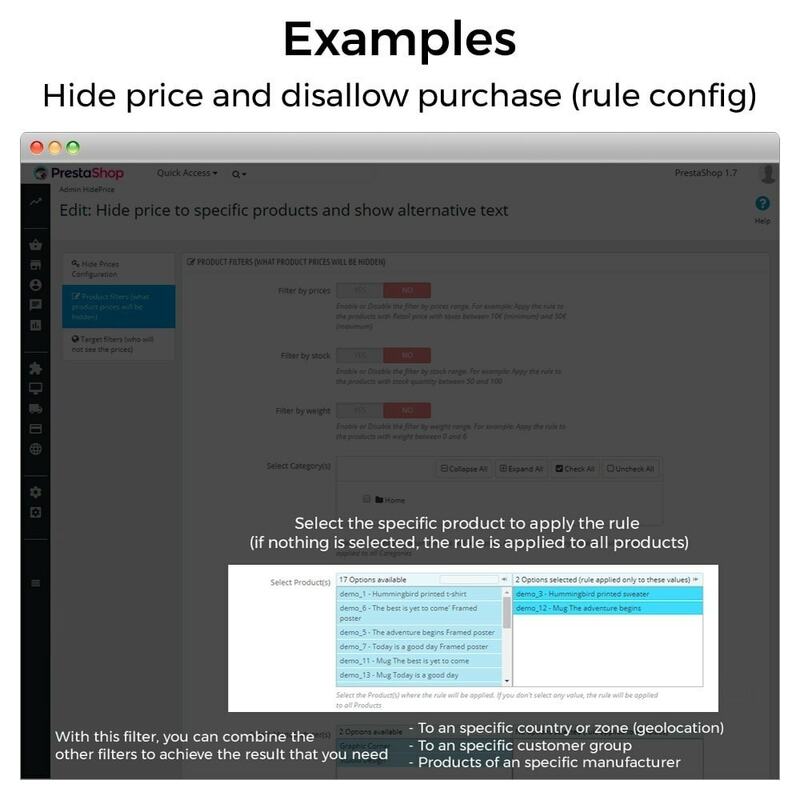 If a “disallowed purchase product” is in the cart (previous existing cart of a customer) the module blocks the checkout process until the customer removes the product from the cart. 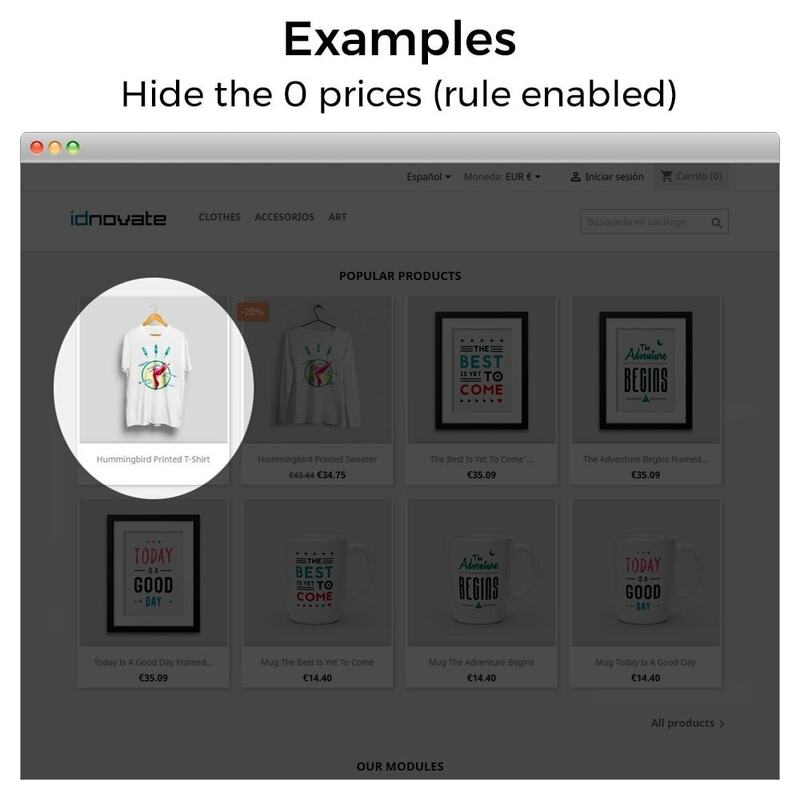 In this case, the price can be displayed or not, you can choose if you want to show the price but disallow the purchase or also hide the price of the product. 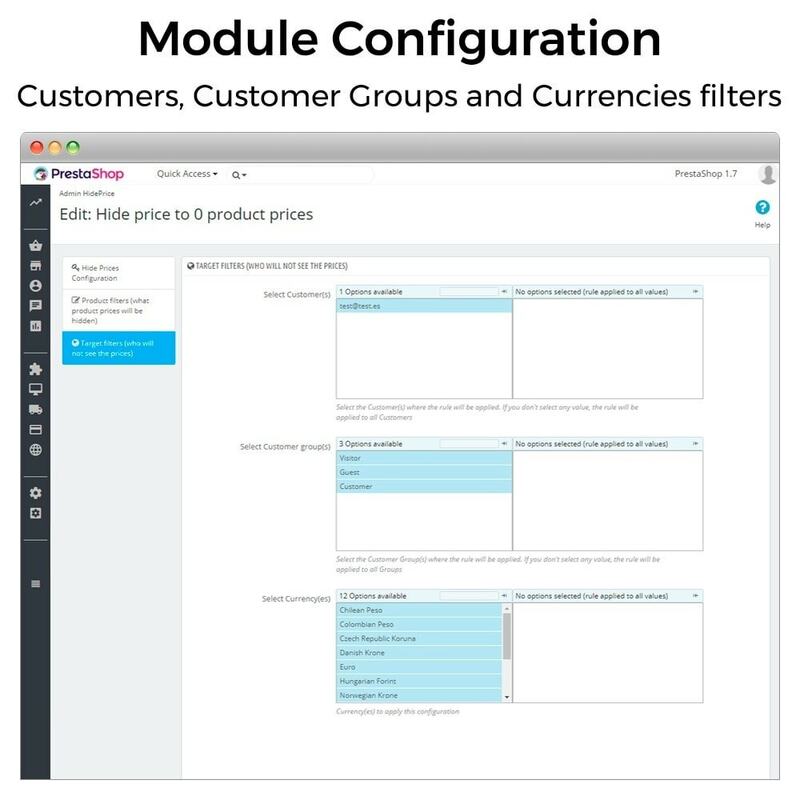 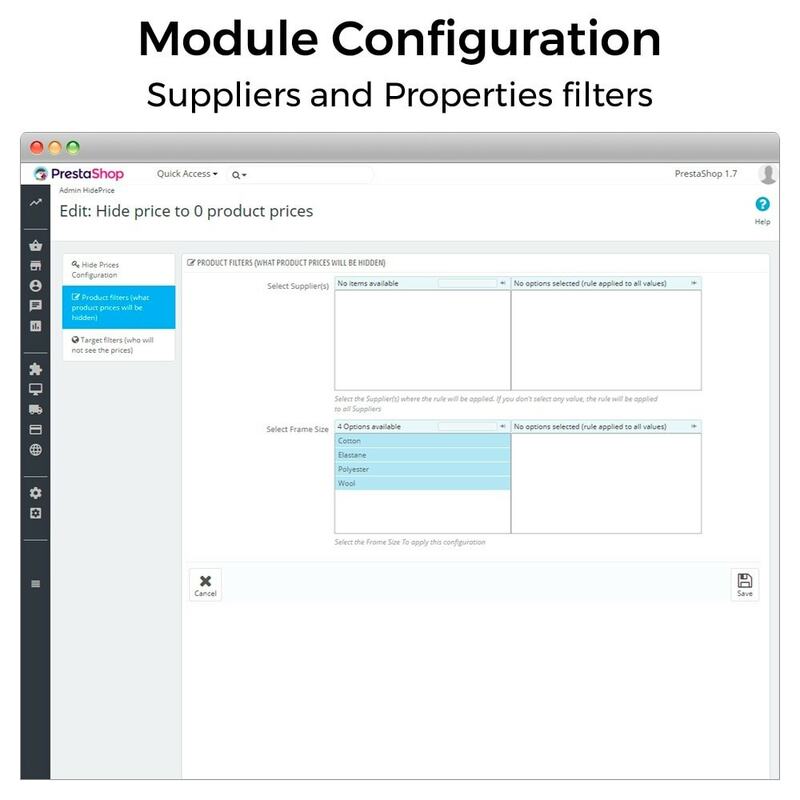 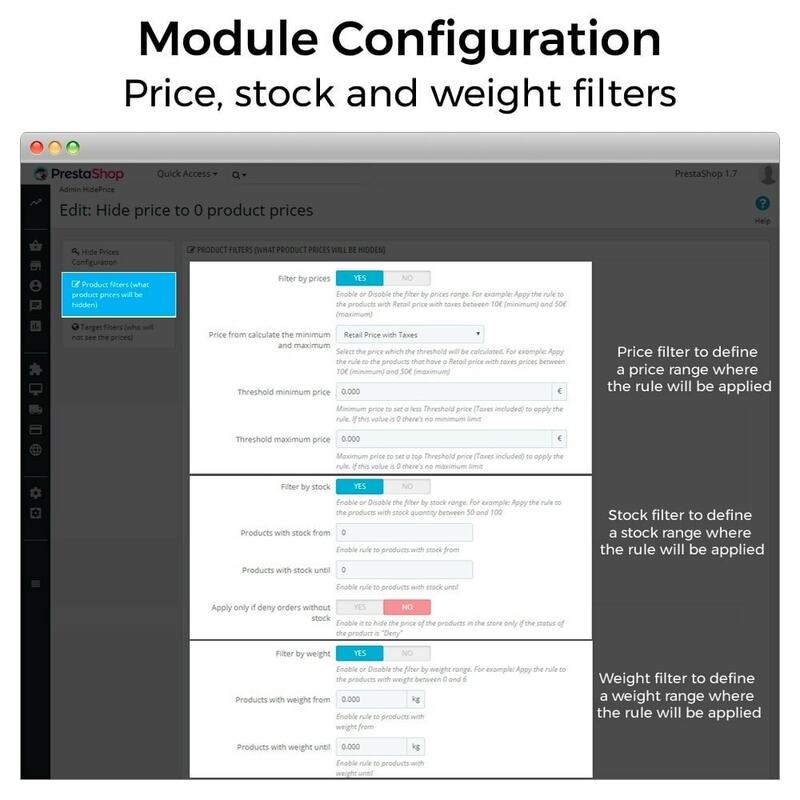 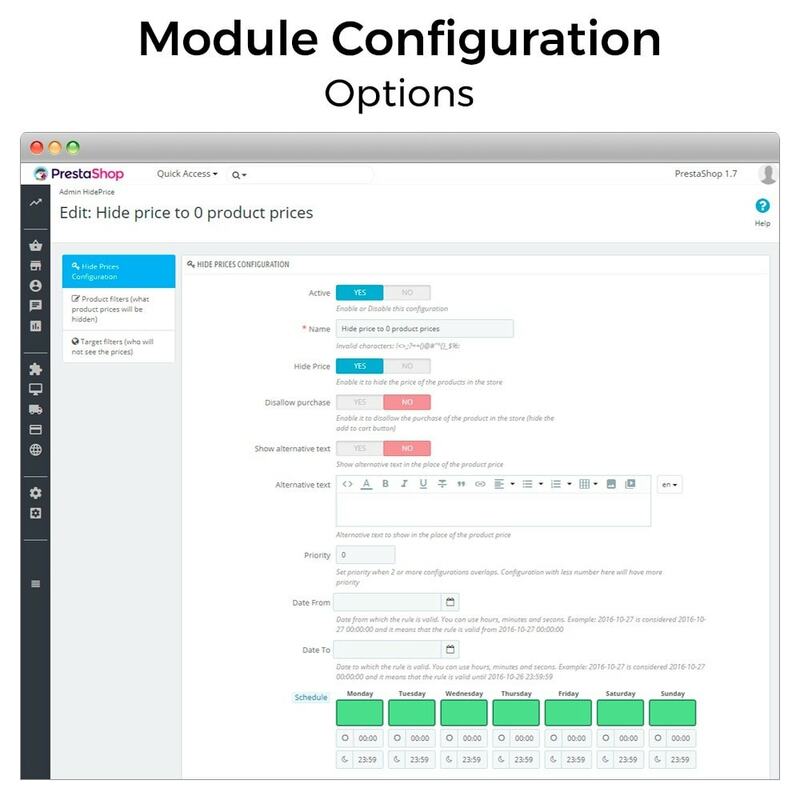 The filters can be combined for a better precision to select what products must be affected by the rules of the module. 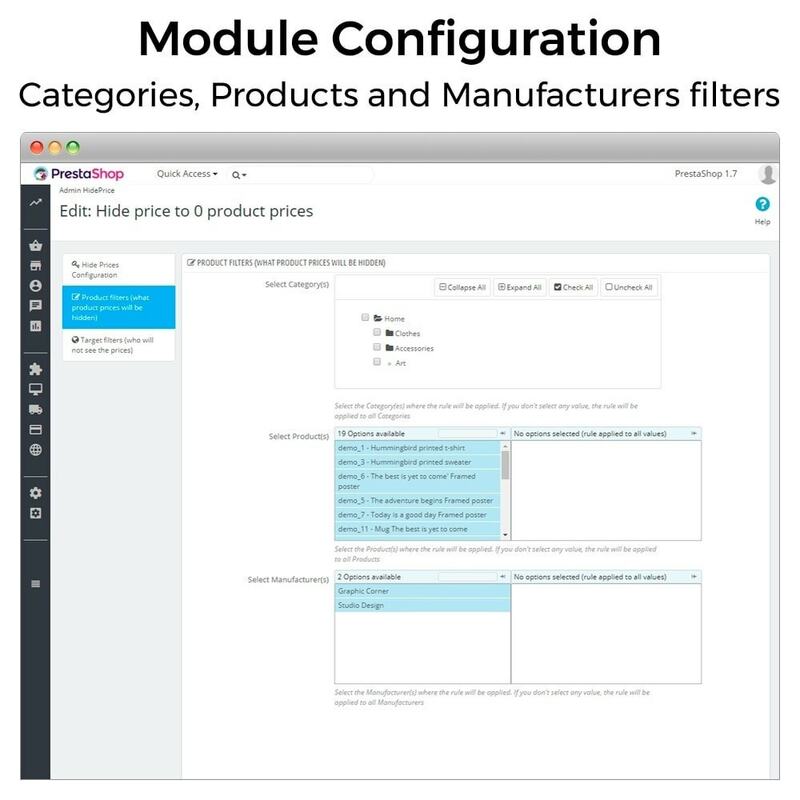 The filter values can be multiselected, then, the rules can be created to be applied individually or massively (for example: with an unique rule you can hide all the product prices of your catalog). 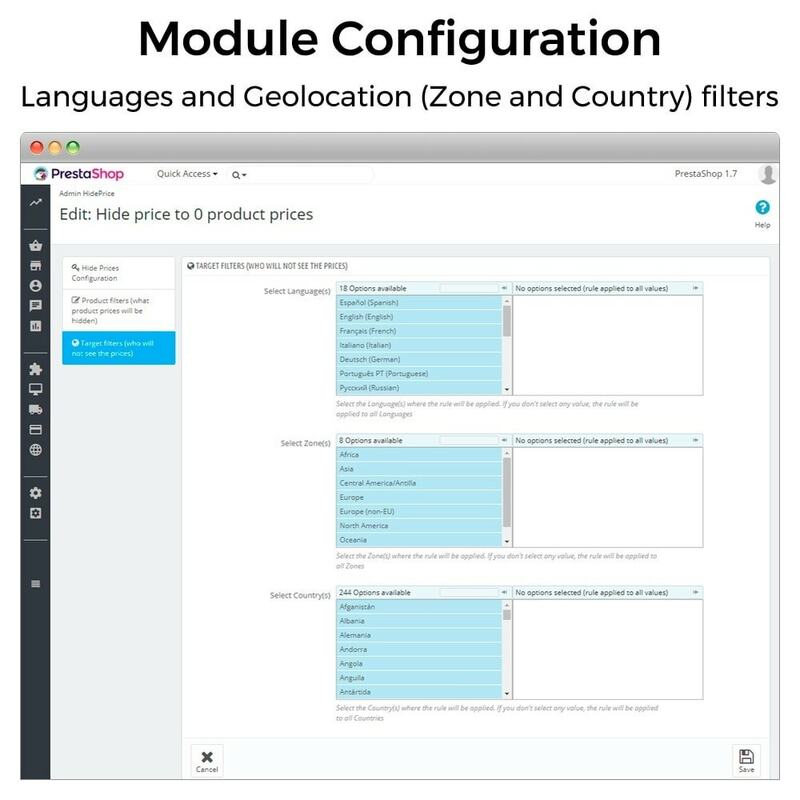 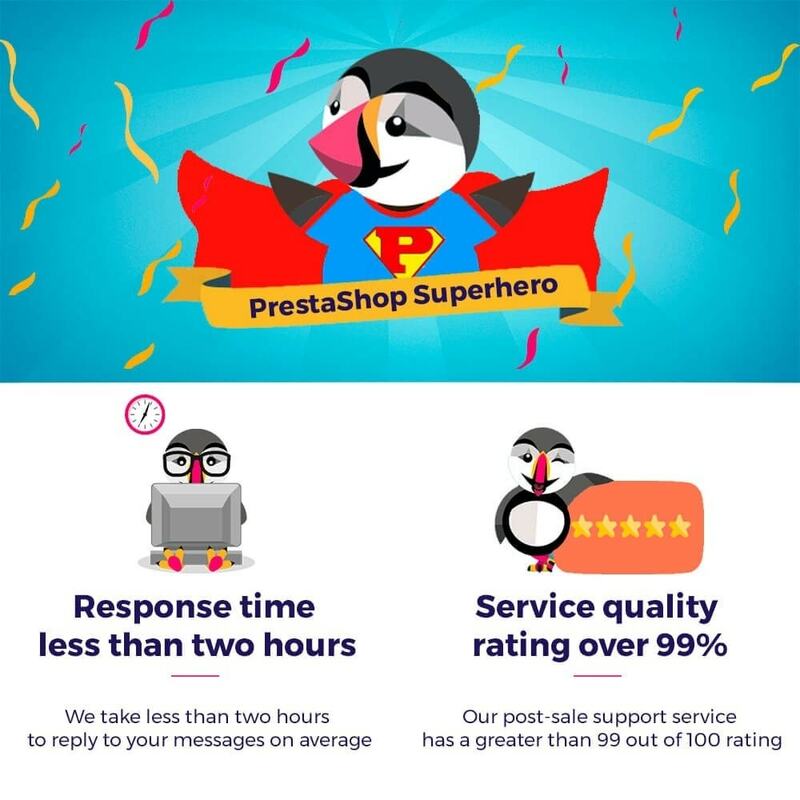 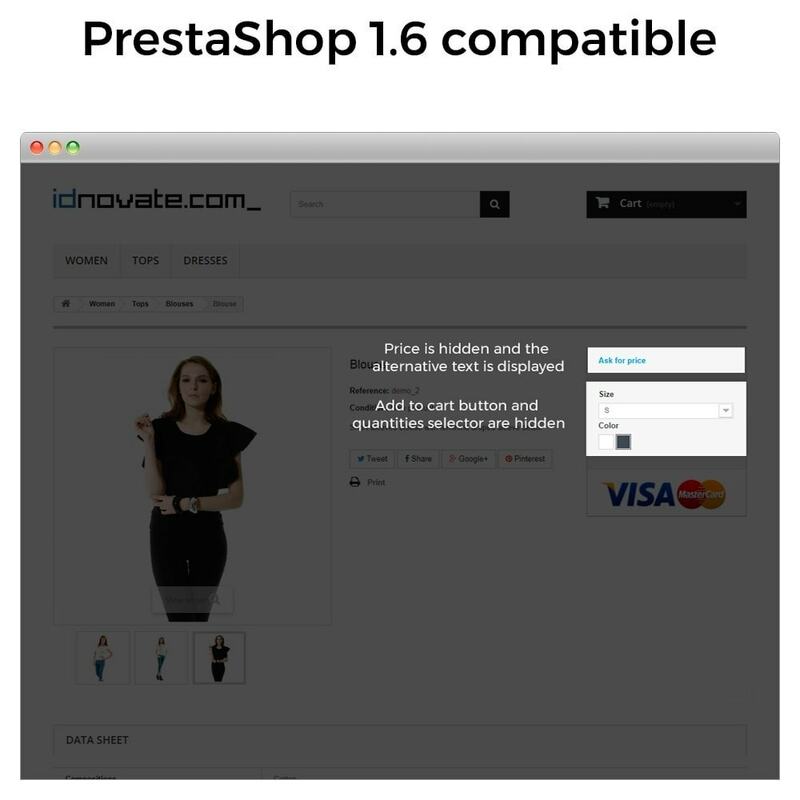 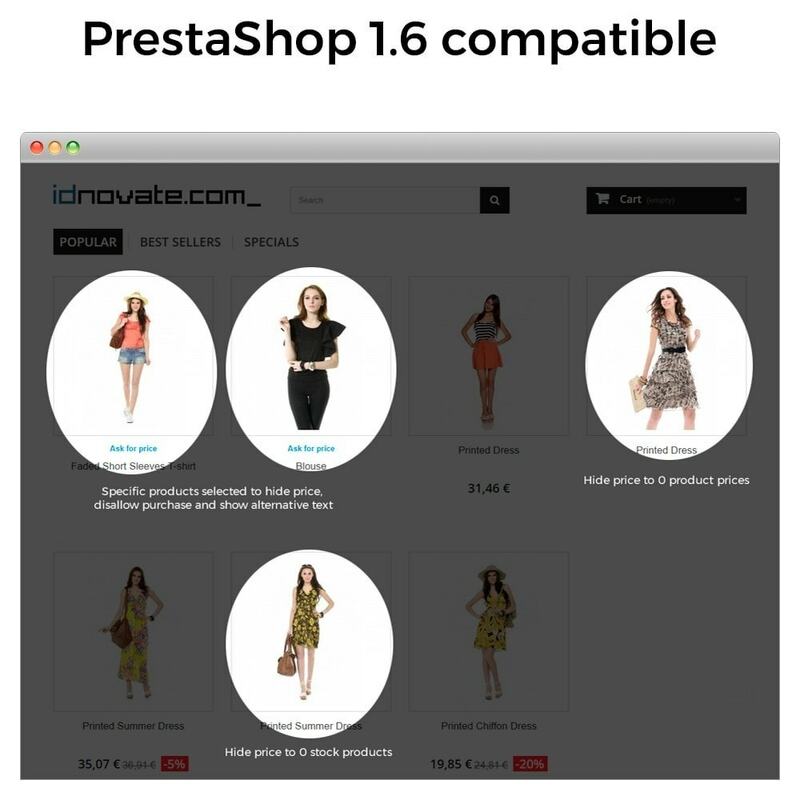 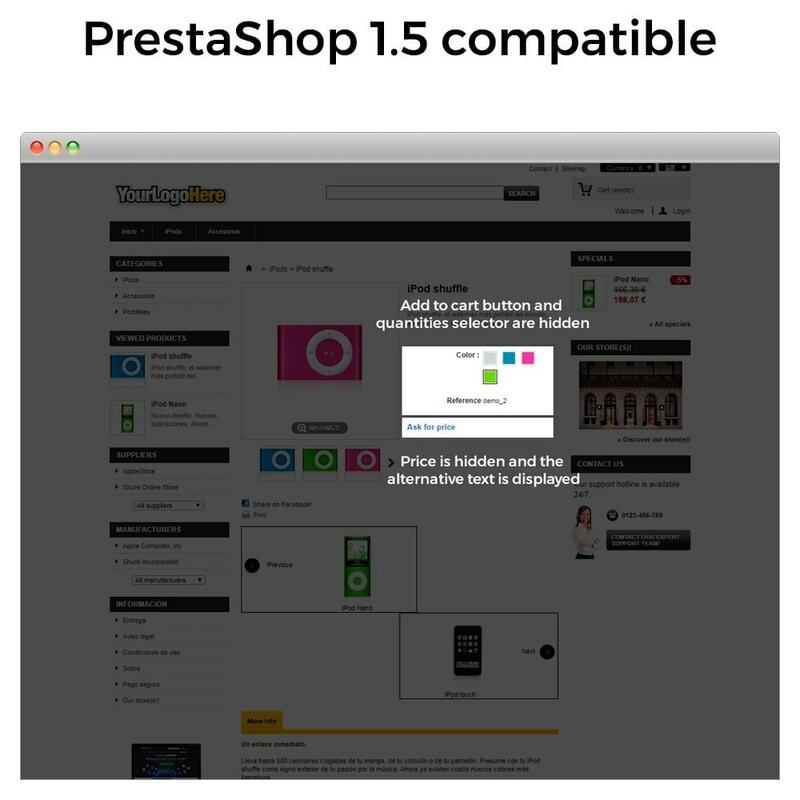 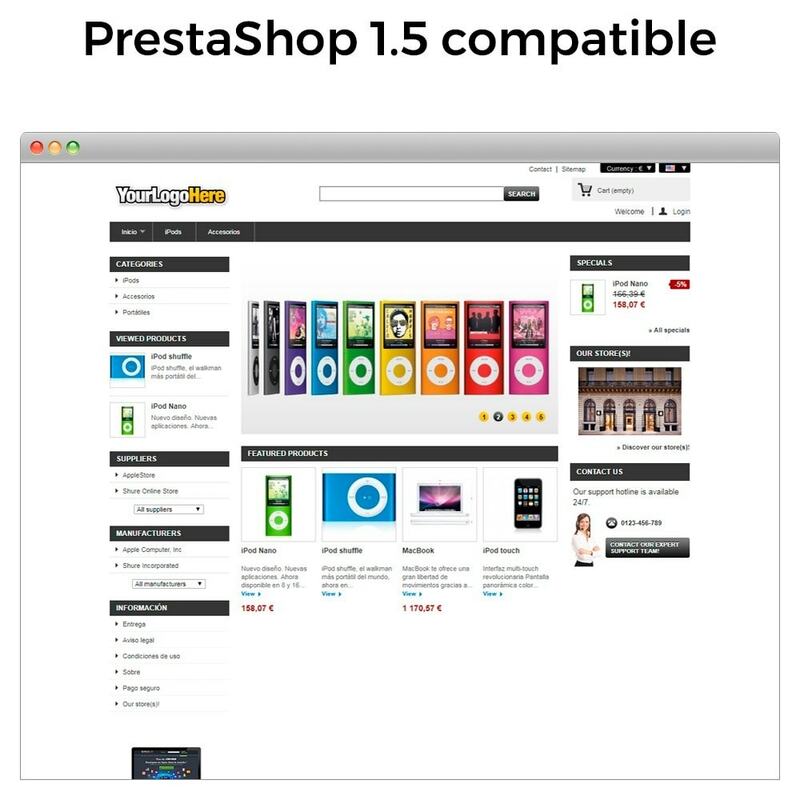 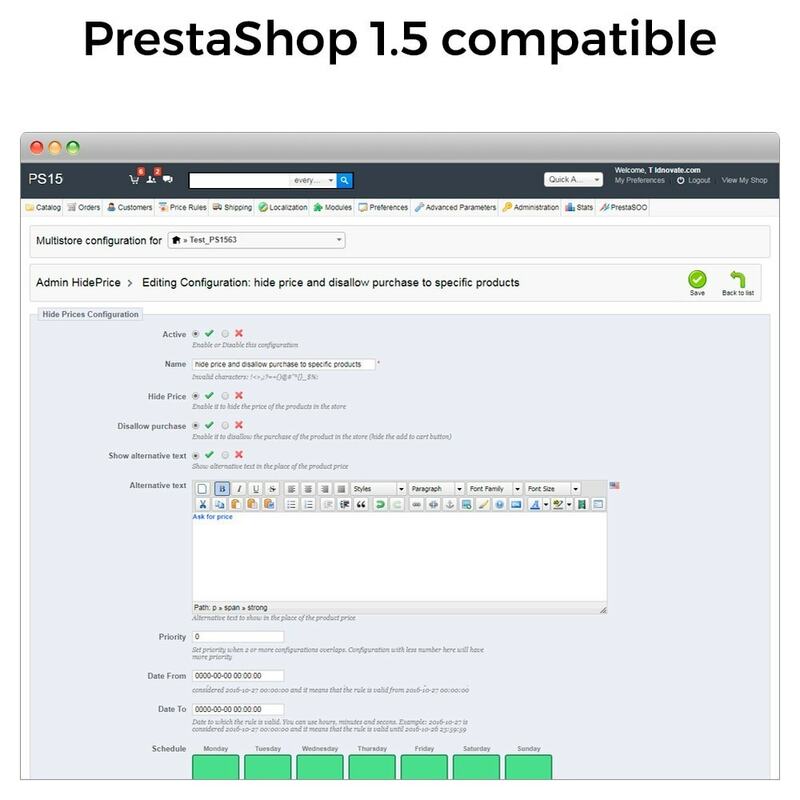 To do it by country and zone, the geolocation of PrestaShop must be enabled, then, when a customer access to the store our module applies the rules.